As we all know by now, comics aren’t just for kids, and Barcelona is full of fans of all ages. Testament to this is the number of comic shops in this city, most of which are surviving in a tough retail climate, for now at least. 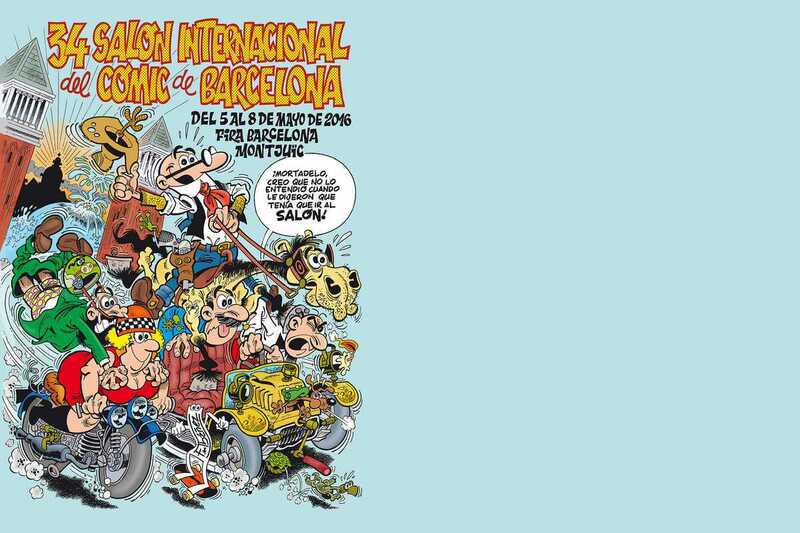 Fanning the flame of love for graphic storytelling is this month’s 34th edition of the Barcelona International Comic Fair. Held in 45,000 square meters of the Fira de Barcelona, it will take more than one trip to see everything on offer. As if the huge amount of exhibits, conferences, workshops and author appearances weren’t enough, the guest of honor will be Frank Miller, celebrating the 30th anniversary of the publication of Batman: The Dark Knight Returns and the release of the sequel The Dark Knight III: The Master Race. A controversial figure, he’s bound to be a huge draw at this event. This year, in collaboration with MNAC, tickets will also be valid for entry to the Catalan art museum through June 6th.